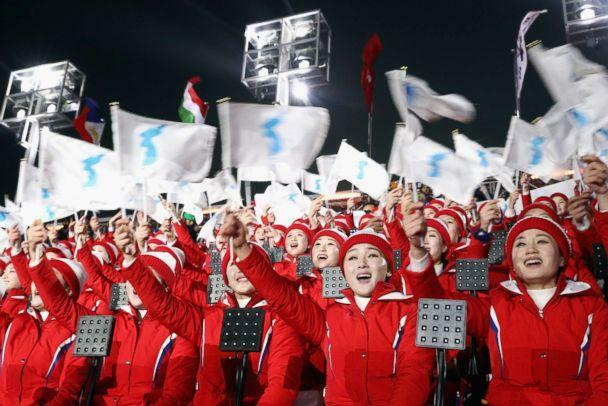 Clad in coordinated outfits of red with white and blue accents, North Korea's throng of more than 200 cheerleaders are stealing the spotlight at the 23rd Winter Olympic Games in South Korea as they chant, sway and dance in unison. North and South Korea agreed to form a joint female ice hockey team for the 2018 Winter Olympics and to march together at the opening ceremony under a "Korean Peninsula flag," according to a joint statement from the countries released last month. 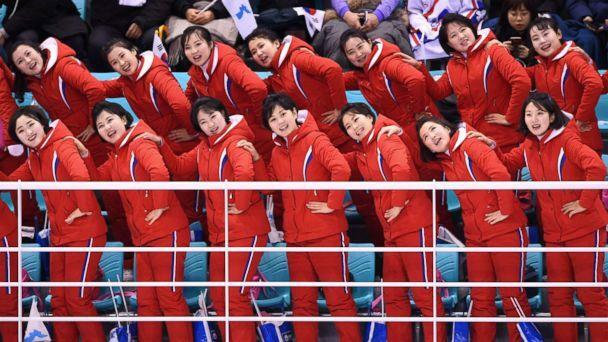 In addition to sending 22 athletes to compete at the games in Pyeongchang, North Korea also deployed a 229-strong all-female cheering squad to root for both nations. 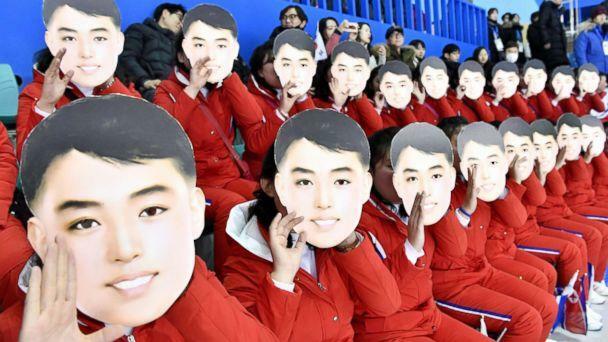 At Saturday's hockey match between Switzerland and the unified Korean team, the North Korean cheerleaders split up into groups and situated themselves in various sections around the ice rink. The squad of young women continuously sang, clapped and danced with gusto and unified precision, even as Switzerland crushed the unified Korean team 8-0. The cheerleading troupe also attended the opening ceremony at Pyeongchang Olympic Stadium on Friday night, where they sat silently throughout the show until the unified Korean team entered the stadium. The women suddenly stood up and erupted in synchronized chants, enthusiastically waving flags depicting the unified Korean peninsula in a light blue color. 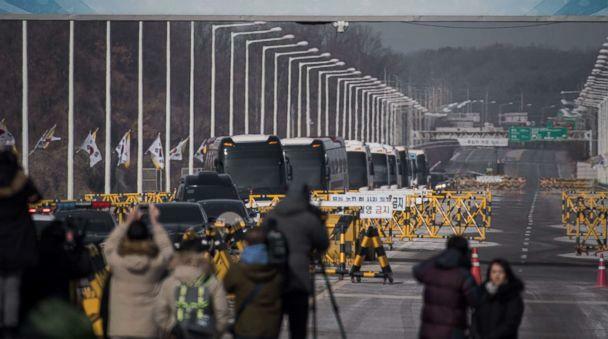 The women arrived in South Korea in charter buses on Wednesday. Most of the squad members ignored questions from the press, only saying, "Nice to meet you." But one of the women told reporters they had traveled from North Korea's capital, Pyongyang.